Could the Death of This Young Father Have Been Prevented? 25-year-old father of two, Jaquan Harris, was reportedly shot and killed inside the Lofts at Commerce apartment complex in south Richmond Tuesday, May 16, 2017. 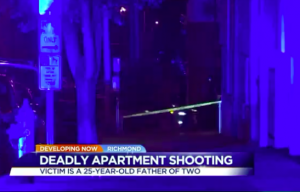 According to The Richmond Times-Dispatch, the fatal shooting occurred around 11:00 p.m. at the “Lofts at Commerce apartments at 700 Stockton St.” Mr. Harris was apparently shot “in the fourth-floor hallway of the secure-entry apartment building where he lived. Tragically, he succumbed to fatal injuries at the scene. WTVR reports, a second person was transported to the hospital by with injuries following the shooting. It is unclear how that person was involved. Did negligent security contribute to the senseless shooting of a young Richmond father? We represent individuals and families who have suffered a tragic loss or injury as a consequence of negligent property security. 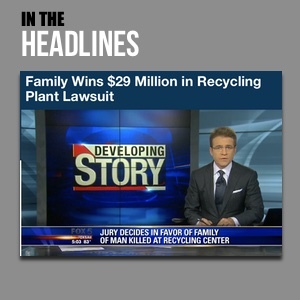 Read Our Legal Take below to find out if the victim’s family may have a legal avenue for justice and claims for substantial compensation in Virginia, or call now for a free consultation with our legal team: 888.842.1616. How did the gunman gain entry to the reportedly “secure-entry” building? What security measures, such as gated entry, surveillance cameras and security patrols, were in place to deter crime and protect residents at the time of the shooting? How did any such precautions fail? Generally, property owners are required to protect all patrons legally on the premises from any foreseeable harm. Should the facts of this matter reveal that the apartment complex owner or management company failed to provide adequate security to protect those on its premises, the family of Jaquan Harris may seek justice and elect to pursue legal claims for his wrongful death.